We’re more than a month away from Halloween, but already celebs are showing off their outfits for October 31. Sofia Vergara has treated Instagram fans to a look at her Wonder Woman outfit for the Modern Family Halloween special, and This Morning presenter Holly Willoughby can be added to the list thanks to her version of Margot Robbie’s Harley Quinn costume. 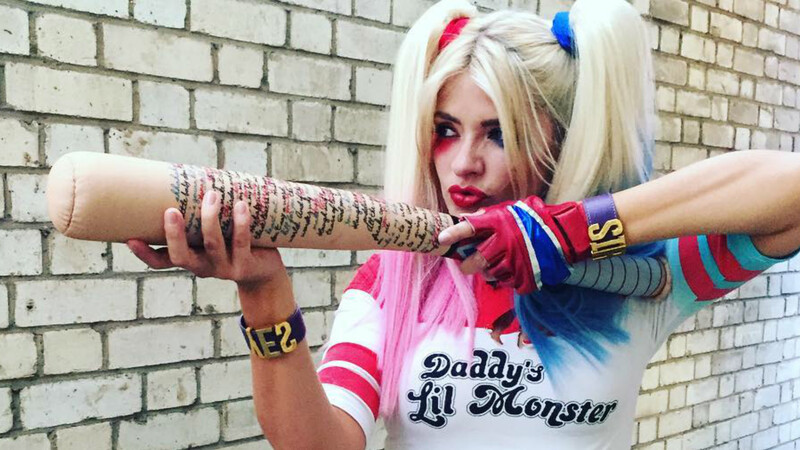 With a crop top, clown make up and baseball bat, Holly became the spitting image of the Suicide Squad character as she geared up for filming a seasonal Celebrity Juice. There’s even a video of Holly in action, proving that’s got both the spot-on outfit and the moves to give Margot Robbie a run for her money. There’s be a lot more Harley Quinn on the horizon, with the news that Robbie and Warner Bros have teamed up to produce a spin-off movie based on the character. The film will reportedly feature DC favourites Batgirl and the Birds of Prey team, who usually include heroines Black Canary and Huntress. Finger’s crossed it’s a bit more coherent than Suicide Squad, which has the dishonour of a 26% rating on Rotten Tomatoes – that makes it officially worse (by 1%) than Batman v Superman: Dawn of Justice. Maybe the Holly version will fare better?